Luxurious, iconic and more desirable than ever, this is the new, intense and ultra- addictive version of the cult fragrance. Fan di FENDI is a tribute to Fendi's most iconic codes: the forever buckle of the cult baguette bag, noble shapes/materials, boundless creativity, the sun yellow and handcrafted leather. Notes include bergamot, tuberose, jasmine, leather and vanilla. 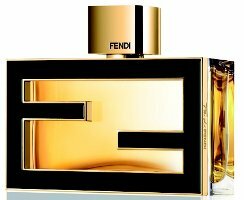 Fendi Fan di Fendi Extrême is available in 30, 50 and 75 ml Eau de Parfum. This sounds much nicer than the original, but only if they’d hold off adding any additional fruits. Did not love the original — this might be better, but admit I will probably give it a skip. There’s not a lot of tuberose/leather combos, are there? I think Histoires might have one in their tuberose trilogy but I can’t think of any others. That’s the only one that comes to mind. I’ve only smelled the original on a scent strip and did like it somewhat. But this one sounds really nice. Might have to track down a sample. I think Saks has an exclusive right now, but I’m sure it will be more widely available by fall. Fan di Fendi was a literal scrubber when I tried it on skin (and I so looked forward to trying it since I was such a fan of the original Fendi and Theorema), so this one does skeer me a little. But I’ll still sniff it when I come across it. Hope springs eternal and all that. They do like the word “cult” don’t they? Not the way I’d describe a scent I can buy at Kohl’s. Anyway, I liked the original well enough but I didn’t feel compelled to buy it or anything. I might check it out just for the sake of curiosity.